Thread: Request: Wheel + Controller (or keyboard) active in-game all together at once! Here's why: We need to be able to control both the Steering Wheel and a Controller or a Keyboard, at once in Project CARS. 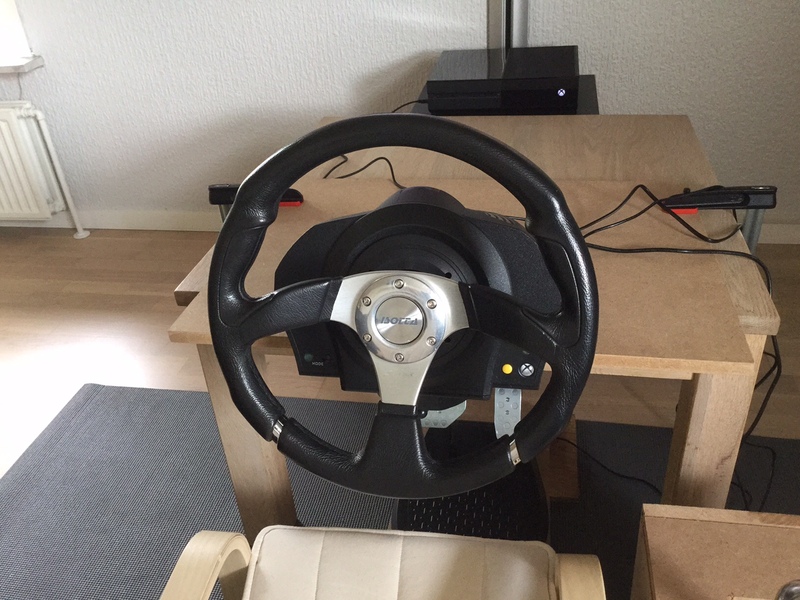 As it is now, we can either control a steering Wheel OR a gamepad/controller! But not both at the same time. The reason is because I need to navigate the menus with a controller/keyboard, and at the same time be able to race with my TX Wheel in-game! 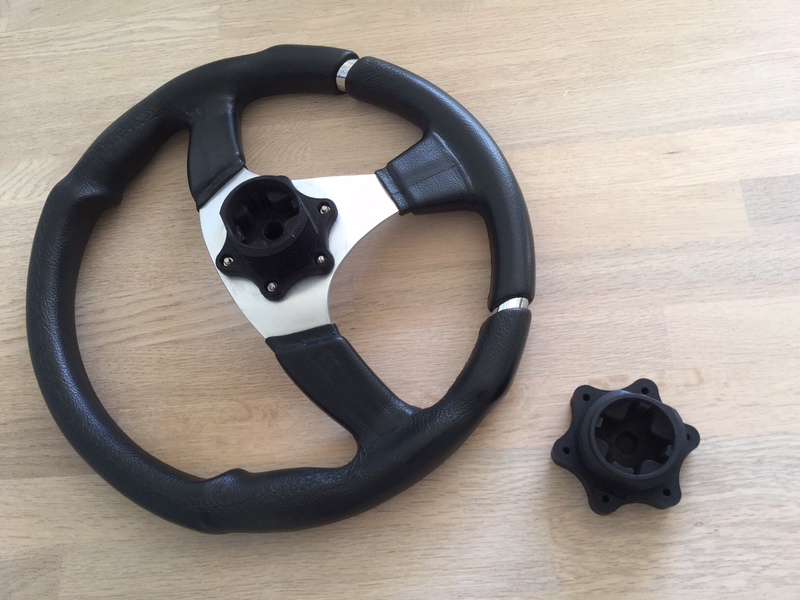 In my case it's a MUST because I (like many other simracers) use a DSD adapter with an aftermarket wheel on the TX base. But that's not all: Imagine we could assign all those buttons, like seat position, pit request etc. on a controller/keyboard right next to you, while racing with a wheel! Please make this possible in this beautiful sim - I know it could be very useful to all of us, and hopefully it's quite simple to adjust. Thank you SMS because you led me into simracing. I can only agree. The more versatility the better. Exactly! This is what Project CARS does so well - versatility - everybody can adjust everything as they like in Project CARS! Best racing game on console by far! It could be even better if we had this option - actually I will gift one of my DSD adapters away if SMS makes this possible in one of the upcoming patches! Yes, navigating menus with the controller is much easier. I need the wheel for racing, not for navigating menus. Yes, that would be awesome. It would be much easier to navigate through the menu's, because there is no right analog stick on the thrustmaster wheels. The crazy thing is unlike Forza the controller in PCars doesn't do anything when plugged in so I guess they could use it for stars or at least a keyboard as mentioned above. This would be ace. Apart from the custom wheel it would be nice to be able to map some of the buttons that are duplicated because you can on the PC version. I have the Madcatz Pro wheel and also having alot of problems navigating menus. Alsot of the buttons are not assigned to I feel like I am missing out . I was going to try using both tonight when I get home (controller and wheel) but from your comments it sounds like this wont work? No it won't work - but Ian Bell said the team would look at this issue, and hopefully this is easy to fix as we can already do it on the PC version and it's even possible in all the Forza games on Xbox One. So my hopes are up - we are alot of racing fans that are used to have a keyboard next to us while racing with a wheel and so people actually care about this problem. Anyway, it's on the list says Ian Bell.